As part of a project to publish the wildlife diaries of Edgar Stead, I am revisiting some of the islands that Stead camped on during the period 1929-1947. The main focus is describing how the ecology of the islands has changed since Stead’s time. The visits also provide an opportunity to take photographs to illustrate the diaries. Stead and his companions Major Robert Wilson and Percy Elworthy were the first naturalists to visit 1400 ha Codfish Island, north-west of Stewart Island. They camped at the western end of Sealers Bay 20 Dec 1934 to 7 Jan 1935, and used a small boat to explore the island and its offshore islets. 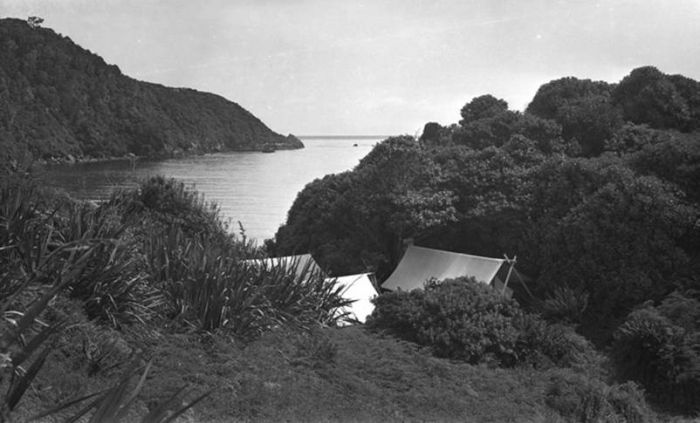 Edgar Stead’s 1934-35 camp on Codfish Island. Photo: Edgar Stead. Macmillan collection, 2001.59.116, Canterbury Museum. Permission of Canterbury Museum, Christchurch, New Zealand must be obtained before any re-use of this image. 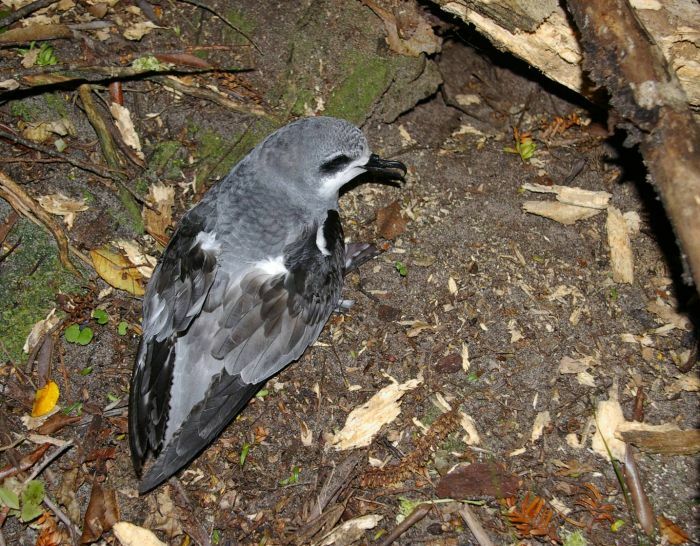 The major discovery of their expedition was that Codfish Island was a breeding site for Cook’s petrel, otherwise known only from Little Barrier Island 1200 km to the north. Stead estimated 30,000 to 40,000 Cook’s petrels to be on the island, and noted that they were being killed by weka (a predatory rail native to mainland New Zealand, but introduced to Codfish Island). By the late 1970s, Cook’s petrels were approaching extinction on Codfish Island, prompting the Wildlife Service to eradicate weka, along with brush-tailed possums which had been introduced from Australia for fur-trapping. 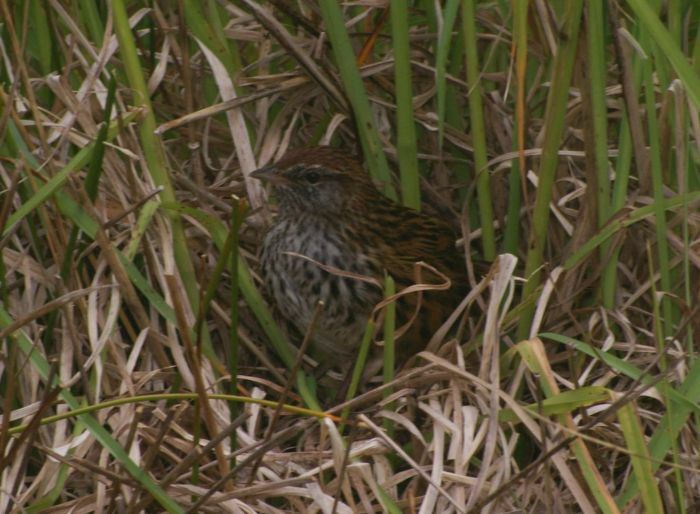 Edgar Stead also noticed that the fernbirds on Codfish Island were darker than those on other islands off Stewart Island. In 1936 he named the Codfish Island fernbird Bowdleria punctata wilsoni in honour of his friend and companion. Codfish Island is famous as the most important site for the kakapo recovery programme. 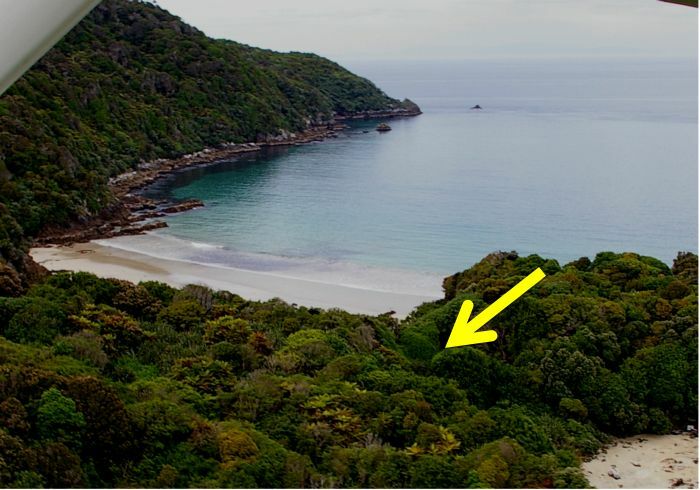 It is a strictly controlled nature reserve, and I am grateful to the Department of Conservation (DOC) and the Whenua Hou Advisory Committee for granting me the privilege to visit. My five companions on the island were all DOC staff or volunteers working with kakapo. 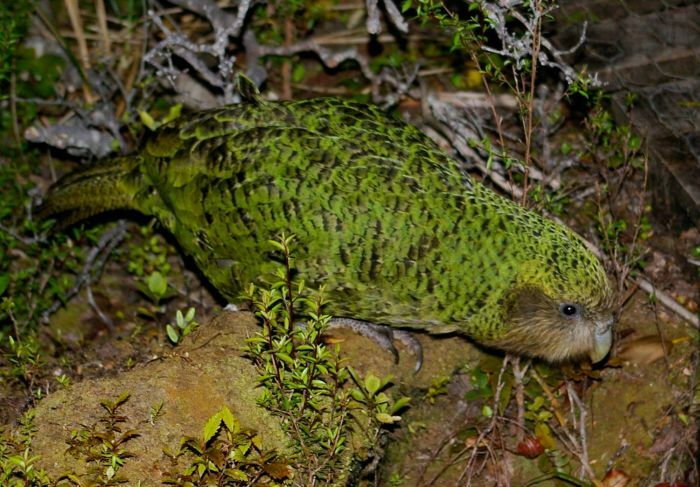 These critically endangered flightless parrots were transferred from Stewart Island (where they were being killed by feral cats) to Codfish Island from 1987 onwards.